CHICAGO, Illinois — Rasson Bet-Yonan, has entered the studio to record his 1985-86 piano sonata entitled, “Theme & Variation in Four Movements”. The piece exemplifies the history and culture that encompasses all that is known to be Assyrian. Adam Chlastawa, a native of Poland, is performing the piece. Chlastawa started playing the piano at the age of six and has performed in Chicago, Poland, and Japan. “Theme & Variation”, is being recorded at Chicago Recording Co. on a Steinway Grand Piano. Bet-Yonan, currently teaches music full time. 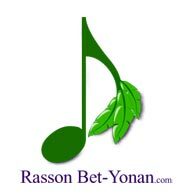 official website of Assyrian musical composer, Rasson Bet-Yonan. Through years of effort, he has collected and composed secular and sacred music of various Assyrian localities and has created classical music that is appreciated by music lovers of every nationality.